Just like the website, the app allows you to upload your own pics straight from your device or to search Bing, in case you're specifically looking for celebrity photos. 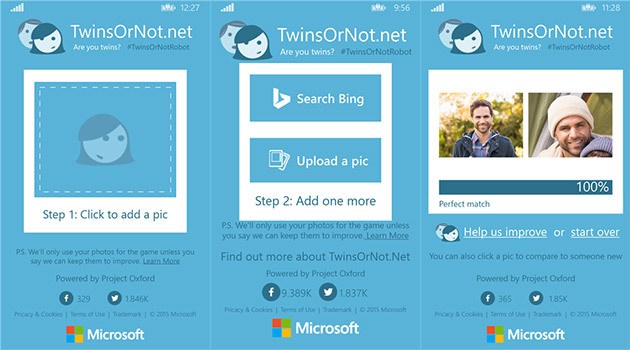 TwinsOrNot was built using a set of APIs under Project Oxford within just a few hours to prove that it's easy to incorporate machine learning into apps. It was designed to get better the more you use it, so long as you allow it to keep the photos you upload, but you can always choose to have it delete your images after use.